This plant is suitable for the ornamental garden. She has striking leaf, flower, or shape and is easy to combine. Requires a sunny spot and well drained, rich soil. This plant is very suitable to combine with the “basic plants. 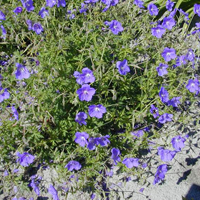 Was originally a meadow plant ‘and therefore particularly suited to heavier soils and occasionally wet soil. She is therefore often be combined with ‘forest plants. Hardly proliferates and combines well with other plants. 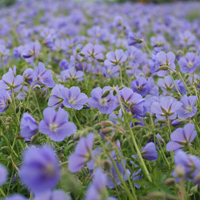 Geranium ‘Johnson’s Blue’ is still one of the most planted black-colored geraniums. 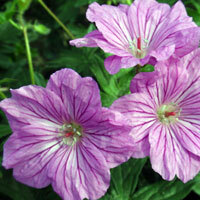 This hybrid is a cross between Geranium pratense Geranium x himalayense. Because of its abundant and long blooming, he received much appreciation. The lavender flowers are large, up nearly 5 cm and are drawn with fine white veins. Leaves are large and deeply incised. 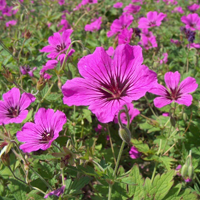 Patricia is one of the hundreds of hardy geraniums that Orkney farmer, Alan Bremner has raised in his garden. Named after Patricia Doughty, it is one of his best plants. 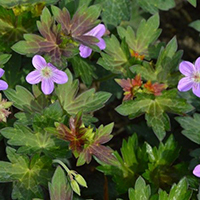 During the summer it produces eye-catching magenta flowers with star-shaped, dark-coloured centres. 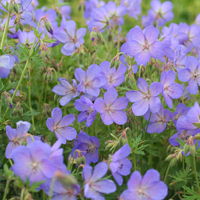 This exuberant flowering Geranium is an absolute winner. This perennial blooms from late May until the first frost. Little or no perennials do better. Plant them in a sunny position or light shade. With a plant you have enough for 1m ². It belongs to the family Geraniaceae. 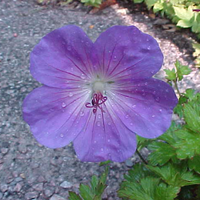 The Dutch name of the Cranesbill Geranium’s. 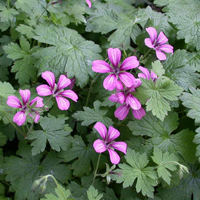 It has green leaves and a pair of pink-colored flowers and has dry-moist moderately nutrient-rich soil. The best place for this plant is: sun.